The men’s Fendi collection proves the words "Fendi" and "typical" are never used in the same sentence. The collection spans everyday wardrobe pieces, yet there’s nothing everyday about them. 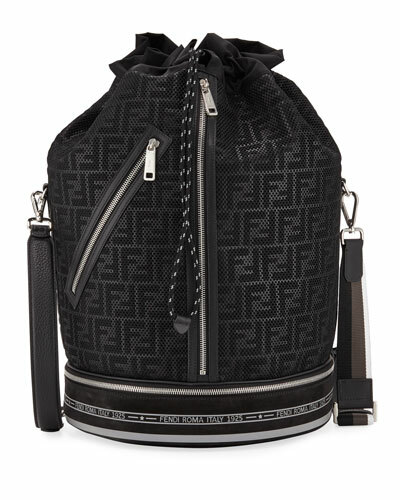 Luxurious closet staples are met with brilliant twists and surprises in every Fendi men’s offering. At Neiman Marcus, you’ll find a wonderful selection of the brand’s latest must-haves, from bold sweatshirts and tees to the latest leather accessories and shoes. Bring playful elements into your weekend style with a Fendi Monster T-shirt and jeans in a perfect wash and cut. Other luxe, casual separates, such as hoodies and matching pants, are the perfect style combination for taking in a game, running errands, or meeting friends for happy hour. Add cool sneakers to get the full street-smart effect. And don’t forget your Fendi wallet — it’s a necessity that deserves an upgrade. 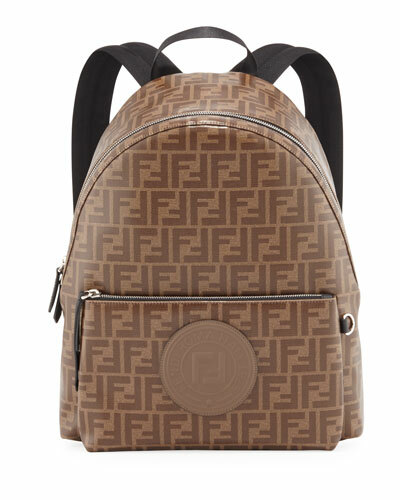 Fendi for men is the height of fashion with cool designs and exacting, innovative techniques. 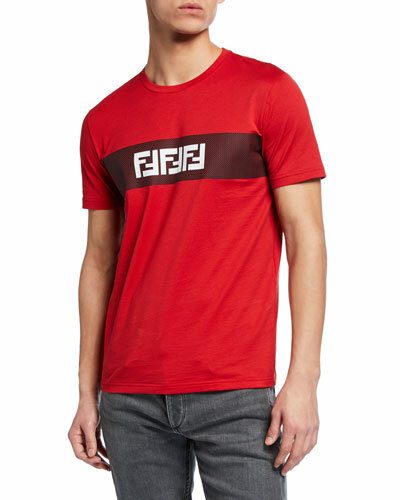 Explore the possibilities, shop the men’s Fendi Collection at Neiman Marcus today. Ermenegildo Zegna metal sunglasses. Rounded square frames. Bridge/temple (in mm): 22-145. Plastic nose pads for comfort. Thin, tapered arms. 100% UVA/UVB protection. Made in Italy. Proposition 65 WARNING: Sunglasses contain bisphenol A (BPA), a chemical known to the State of California to cause birth defects or other reproductive harm. Ray-Ban® aviator sunglasses. Eye/bridge/temple (in mm): 58-16-140. Solid propionate frames. Chromance polarized mirrored lenses. Open bridge detail. Adjustable nose pads.